Sorry for the long wait, nails had to grow back, wasn’t feeling too good. I decided to do something different with my nails this game day. Went with a colorful multi-layered graphic design. After cleaning and shaping nails, I applied two coats of blue first to nails. The blue used is L.A. Girl’s Magnetic Nail Polish. There’s no name for the color but there’s brand and type for ya. Very important to let your nails dry between each color. Used silver over the blue leaving space for a blue arch, had to use two coats of the silver. Silver used is L.A. Colors Color Craze nail polish in Live. Making sure to leave a silver arch, I made a green shape with a nail polish that has no label. 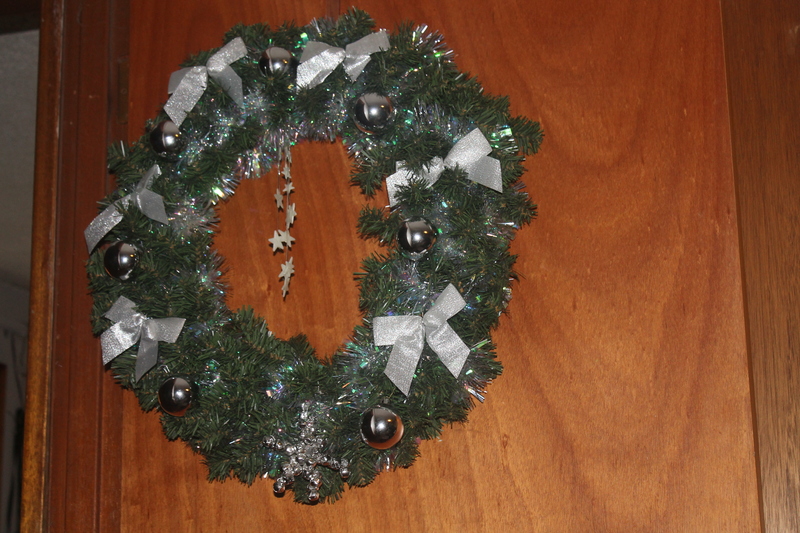 Noticing at this point that there’s room for more arches, I added a second silver arch, and finished up with blue. 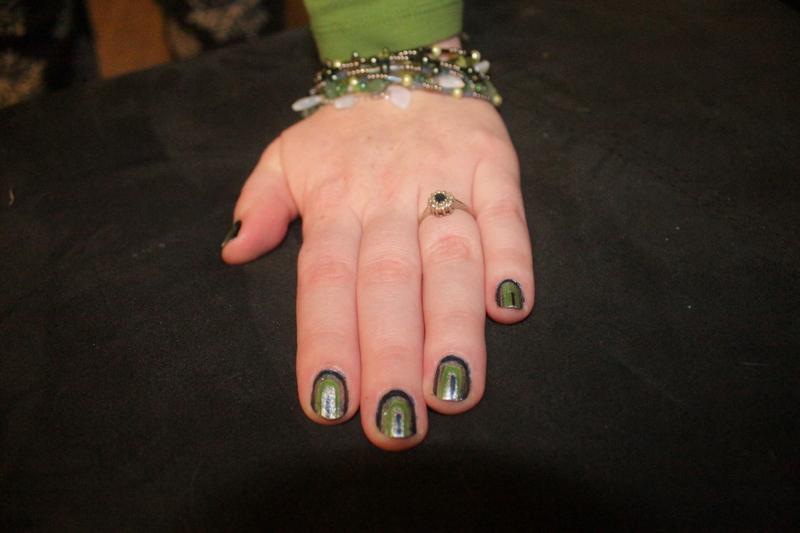 I especially like how the silver accents the bright green and dark blue. 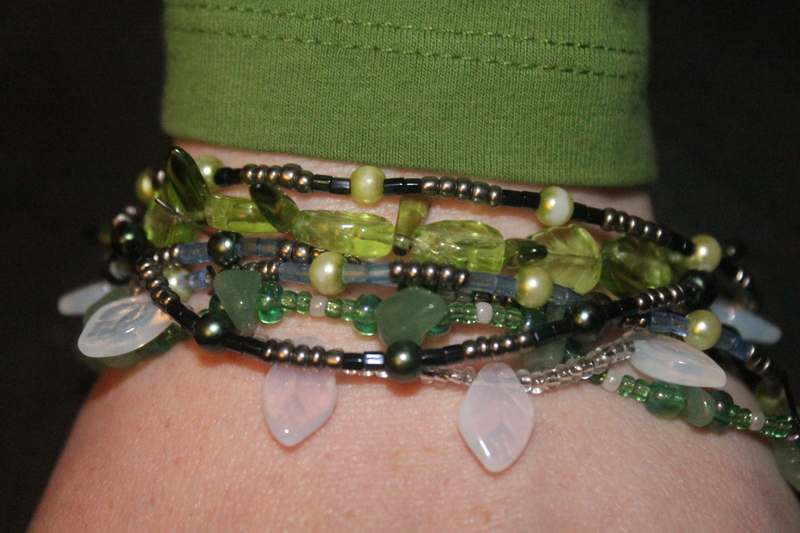 Bracelets are the usual four paired with green jade and leaves,white frosted and green clear. ← It’s officially unofficial! I’m a psycho.